I was pleasantly surprised recently to hear that Tom Clancy is finally publishing another book after seven years of silence from his camp. Although he claims that he has never actually seen a classified government document, he will gain much help and insider info from his co-writer, ﻿US Navy veteran Grant Blackwood, who had previously spent time on a guided missile frigate. With as much publicity as he garners, coupled with the controversial military topics he picks, it’s hard to ignore Clancy. Reading through a few interviews, I was very interested to note who he nominates as his influences, as well as how some of his most famous readers have reacted to his work. Clancy deeply admires the works of a number of British writers and lists Frederick Forsyth and Alfred Hitchcock at the top of the ranks. In an interview, he firmly stated, “Were I to pick a single decisive influence, it would be Freddy Forsyth’s Day of the Jackal,” going on to say that it is probably the best thriller ever written and that it has redefined the genre. From Hitchcock, he learnt how to create the characters that legions of faithful readers have come to love and cheer on. 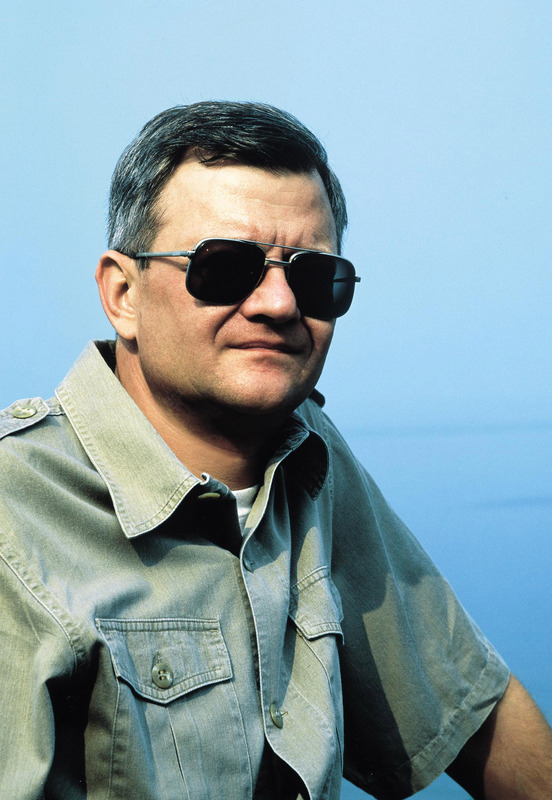 Love him or hate him, there’s always much to be said about Tom Clancy. Know of any more famous readers? Have your say on his infloox page! This entry was posted on April 9, 2010 at 10:46 am and is filed under authors, bestsellers, book reviews, books, infloox, influence, influences, inspiration, novels, writers, writing. You can subscribe via RSS 2.0 feed to this post's comments.